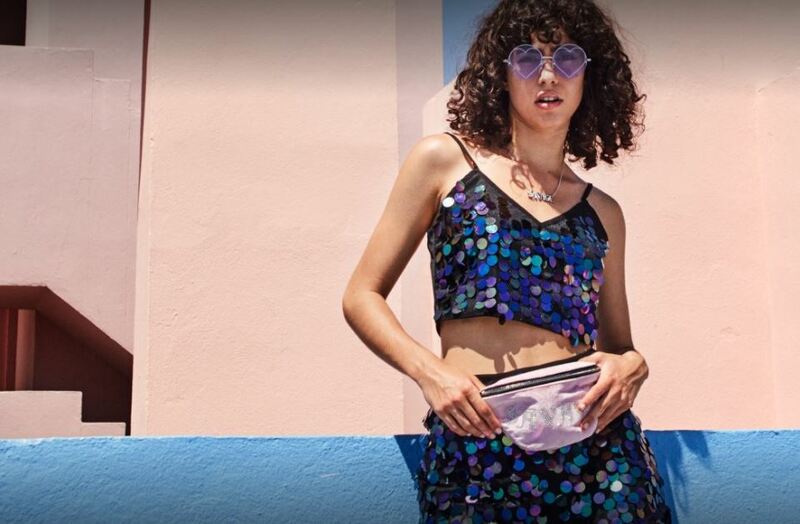 Skinnydip is rapidly becoming one of the UK's most iconic new brands - their unique, fun takes on accessories are finding a devoted audience across the blogosphere and in the retail world. 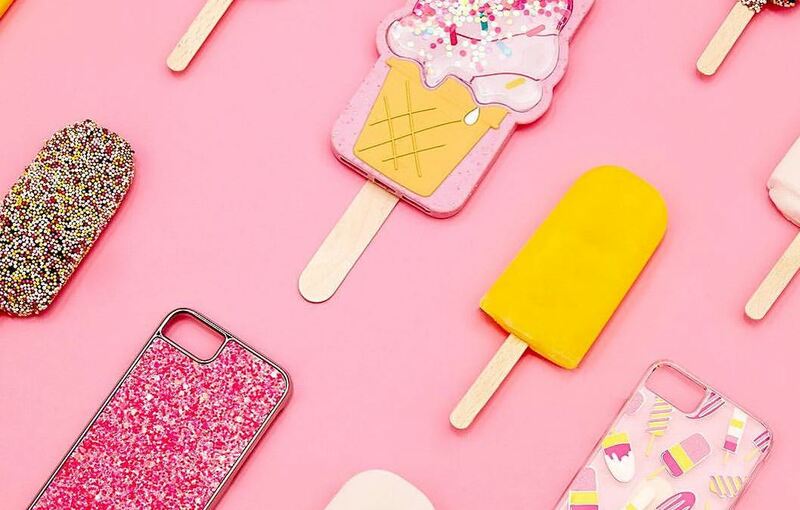 From a Topshop concession in 2013 to now twelve stores globally, as well as collaborations with retailers and brands such as ASOS and Coca Cola, the Skinnydip story is testament to the power of having a bright idea and going for it with everything you've got - even if you have to do some learning along the way. James Gold, co-founder of Skinnydip, shares his business journey with us. The idea for Skinnydip started when we went into an Apple store and noticed 10 different companies all doing a black and white phone case. Myself, my brother and my best friend had a belief that a phone case could be a fashion accessory. And so despite having no experience aged 23, 22, and 21 we thought we would start a business. We knew form the beginning we wanted to build a fun fashion brand, and thought creating a completely unique tech range was our entry into the market. The first thing we did was Google ‘phone case China’, and we found an exhibition in Hong Kong. Having never been to Asia we were amazed by the number of suppliers, and spent three days walking round this exhibition soaking up as much info as possible. We got back to the UK, found an office in Wembley, put out three desks and three phones and contacted a whole list of retailers - who all rejected us. Having no experience worked to our benefit as we were fearless and didn’t take rejection to heart. After a lot of perseverance, we finally managed to get a meeting at a fashion retailer who placed our first order. It was just us in the early days - we handled everything, ranging from design, production logistics and sales. When our first order arrived in the UK we even unloaded the lorries ourselves! Once we had our first account we started adding to this. From the start we knew we wanted a business that was more than just selling products; we wanted to do things differently and in our own way. Having no knowledge of running a conventional business, we kind of did what we felt was right, learning as we went along. We developed brand values and principles that Skinnydip still follow to this day; aspiration, desire and exclusivity. Every single aspect of the company is guided by these principles. Having our first concession stand in Topshop 2013 was a massive step for us; we realised the potential of working wider than just wholesale, and couldn’t thank Topshop enough for their support. Concession growth has been essential for us, enabling us to form great relationships and building the brand on the whole. We now have over 200 concessions in 30 countries including Australia, Canada, Singapore and Malaysia. Wholesale relationships with retailers such as ASOS, Nordstrom and Bloomingdales have been a great opportunity to widen the reach of Skinnydip whilst building on the credibility of the brand. Another major milestone was opening our first flagship store just off Carnaby Street in London, where we feel we bring the Skinnydip experience to life. From one store we now have 12, including our first international store in NYC, with more due to open soon. Collaborations have become a key part of strengthening the brand identity. Working with like-minded brands such as Coca Cola, Fox, Tangle Teezer, Carmex and most recently agency Models1 have been key to strengthening Skinnydip, raise awareness, push the brand further and continually reach the Skinnydip girl in a creative and innovative way. Interacting with our customer through social media is vital and providing exciting and engaging content is something we try and do daily. Building on the brand’s London roots, we recently moved into a new HQ in Skinnydip House in Primrose Hill; a major milestone for the brand, whilst keeping the young and vibrant energy at the core of the company. We have ping-pong tables in the chill-out zone, glitter walls and even Skinnydip-branded mugs. It’s not just about what the customers see, and it was really important for the culture of the brand to be everywhere. As a team we continue to push Skinnydip’s authenticity in everything we do. You can’t fake being authentic, and the Skinnydip girl knows this. Learning every day in everything we do, the brand is continuously growing in every aspect of the business, from retail to wholesale to ecommerce. At the heart of everything is product, and we strive to continuously innovate the best products each and every season.